Rigid Landscapes specialise in garden landscaping and landscape construction in Geelong and surrounding areas. We design and build outdoor spaces that reflect and enhance your home and lifestyle. We are happy to work within and maximise your landscaping budget to ensure you get the most of your garden. Rigid Landscapes are passionate about all aspects of garden design including synthetic turf, paving, decking, retaining walls and landscape construction. As expert landscapers in Geelong, Kane (owner and principal landscaper at Rigid Landscapes) has been in the landscaping business of creating wonderful gardens and outdoor spaces for more than 10 years. It’s fair to say that many of the gardens you have admired in Geelong over the years, have been constructed by Rigid Landscapes. Kane takes great pride in seeing how well his gardens grow and flourish over time. The key to designing the perfect lanscaped garden is to make sure that it has a balance of function, style and practicality, and that the landscaping design works within the local environment perfectly. 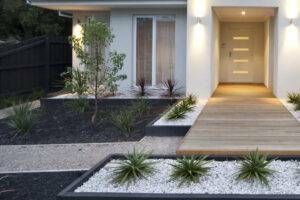 At Rigid Landscapes, we specialise in landscape design and construction in Geelong and the surrounding areas. We create outdoor spaces that reflect and enhance your lifestyle or business needs, and we always complete our landscaping projects on time and within budget. 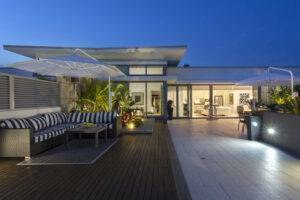 In Geelong, we design the perfect outdoor spaces for homes, businesses and commercial properties. We are just as passionate and enthusiastic about designing garden water features, planter boxes, paving and timber decking for small properties in Geelong, as we are about designing expansive landscaping projects with patios, pergolas, retaining walls and complex garden irrigation for larger properties in the area. Some of our more popular designs include low maintenance, dog friendly and child safe gardens, as well as lush tropical pool surrounds and modern outdoor kitchens and entertainment areas. If you want a Landscape company to handle your project from start to finish – Taking care of all the individual elements from design to construction that mould together to form an overall landscape in Geelong. We understand the local climate, and can tailor a package to match your lifestyle whilst working within your budget and are well-known for designing gardens that look good, function well and flourish all year round, then you can’t go wrong calling the professional landscapers at Rigid Landscapes. Rigid Landscapes has a solid reputation as a professional Landscape business in the Geelong region. We can not only design your new landscape or garden, we also project manage and construct your decking, patios, pergolas, and retaining walls as well. We are passionate about building it right, and building it to last. With a large and reliable network of suppliers, we have everything on hand to successfully complete your project in time. If your looking for anything from an overall construction of your outdoor space, to just a neaten up or new or refurbished driveway. To a stonewall builder in the Geelong area, even an outdoor entertainment area or to landscape a new or existing pool surround, we have the experience and the passion to do a perfect job, every time. Not forgetting that we also offer mini-digger hire that comes with an operator for small scale projects in Geelong as well. Whether you want something as simple as a small garden makeover, a new deck or paved area, or an expansive new lawn installation with an automated water system. To new patios, planter boxes or even a complete outdoor lifestyle package, you can’t go wrong calling the Geelong Landscapers passionate about quality today on 0415 345 439 to discuss your needs.